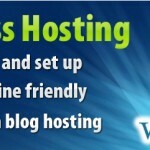 Affordable Wordpress hosting service to host your blog/website. WordPress installation, configuration and 24x7 technical support. BrainPulse, a premier web hosting company exhibits unrivaled expertise in WordPress powered Websites. The Company is proud to have both the expertise and required systems and tools to run your WordPress site quite efficiently, saving you a lot on both time and money. Our excellent and totally committed team is ready to provide you a wholesome and hassle-free wordpress hosting services in India. 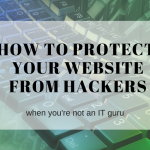 Although for server requirement, Apache or Nginx are considered to be the most robust and feature-rich server to run WordPress, other server that supports PHP and MySQL may also be used to support wordpress hosting services. Providing viable backing to support features like .htaccess support, GD support, XML Support, Zend and Ioncube support. How To Choose The Right WordPress Hosting ?